Think you've got what it takes to beat the Math-Go-Round? Grab a friend and take on this board game that makes math easy and fun. Find more Math-Go-Rounds for addition, multiplication and division here. A board game made for 1st-graders to sharpen their subtraction skills. Let's go on a math hike! Read each word problem out loud, and figure out the addition or subtraction equation that it represents. Go fishing for math facts with a fun game! Your first grader will practice solving simple addition and subtraction problems. If math is becoming a bummer, just go fishing! This fun game will be perfect for introducing your first grader to simple subtraction equations. Have your little math sleuth write out each subtraction problem to go with the word problem. Math got your child down in the dumps? Just go fishing! Play the "Fish for Answers" game to learn simple addition and subtraction. 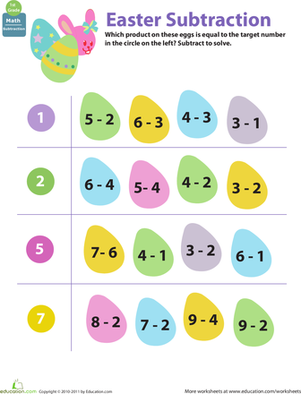 "Eggstraction" takes the boredom out of subtraction practice, and it'll get your first grader into the Easter spirit, too! Make math fun with this series of "Fishing for Answers" addition and subtraction math facts. 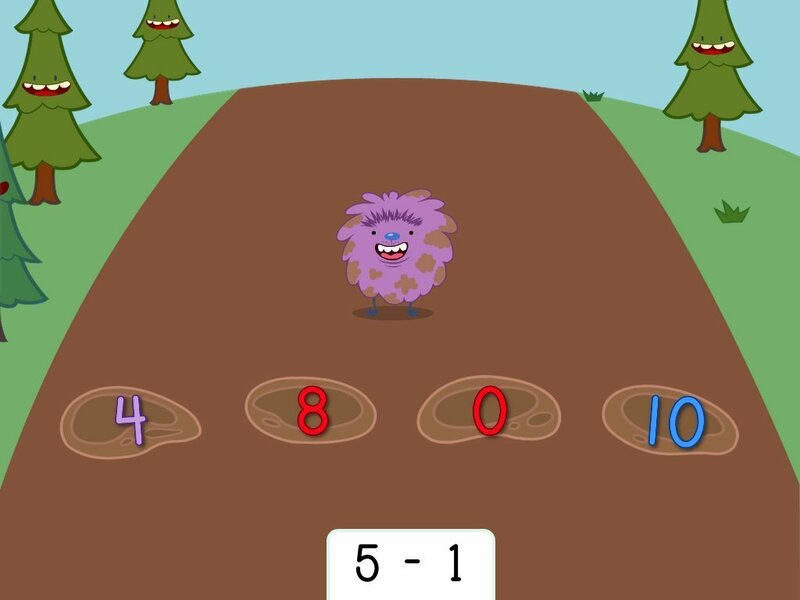 Kids practice solving abstract subtraction problems in this math game.